25 75597-2339 - Shifter Cover. 26 75597-2379 - Channel Cover. 41 74765-2719 - Dash Knob. 22 75597-2369 - Light Guard Grill Left. 23 75597-2269 - Light Guard Grill Right. 33 75597-2169 - Kc Lights Front. 34 75597-2179 - Kc Lights Back. 48 75597-2389 - Large Spacer. 7 75597-9299 - Footboard Assm. 12 75597-2029 - Rear Module. 13 75597-2759 - Front Module. 15 75597-2259 - Hood Louver. 27 75597-9539 - Action Sound Console. 28 75597-6129 - Fenders Flares (bagged). 29 75597-6439 - Running Board. 38 75597-9489 - Mic With Cord. 44 75597-4239 - Steering Column. 45 75597-4509 - Front Axle. 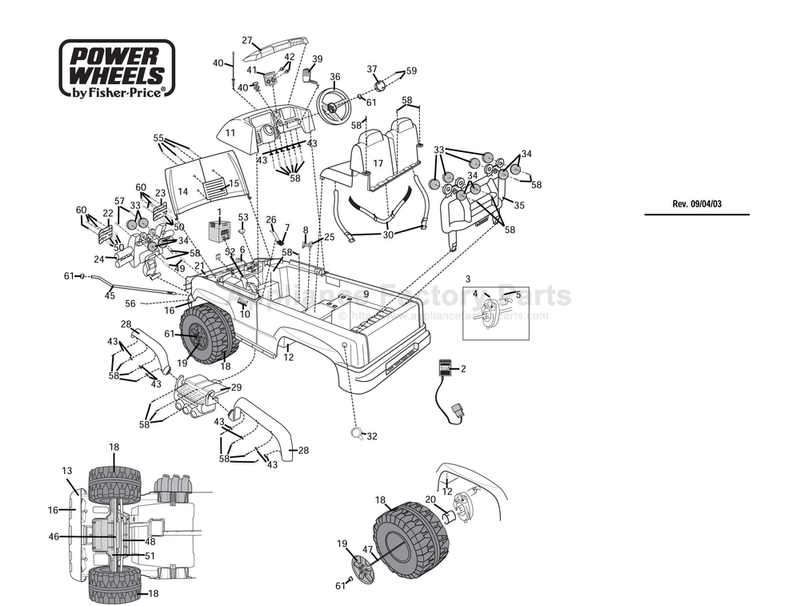 46 75597-4529 - Rear Axle. 49 75597-2469 - Small Spacer. 50 75597-9219 - Steering Linkage. 32 H4433-2089 - Gas Cap. 40 3800-7529 - Knob Bezel.